methods of treating pests with a flea problem. The introduction and widespread use of insect growth regulators in the past decade has been a “miracle drug” for cats and dogs, the main source of household flea problems. To effectively eliminate a flea problem, an integrated management plan needs to be implemented. 1) Treatment of infested pets. Since most flea problems originate from an infested cat or dog, elimination of fleas from the pets is the first and most important step. Insecticides approved for direct application to pets as spot treatments, dips, dusts, sprays, or shampoos are available at most pet stores but veterinarians will almost always provide a product that will include a growth regulator. 2) Vacuuming and cleaning of infested premises. Once the pet has been treated, efforts should then focus on the indoor premises. Particular attention should be paid to areas of the home where the pet sleeps or spends the majority of its time. Blankets or rugs that may be used as pet bedding should be discarded or laundered in hot, soapy water. All carpeted areas and upholstered furniture should be thoroughly vacuumed and the sweeper bag contents discarded. If the flea infestation is light, frequent and thorough vacuuming may reduce the problem. 3) Spraying or dusting infested premises. 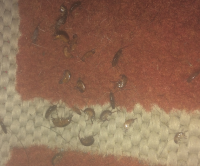 Moderate to heavy infestations will usually necessitate the application of a residual insecticide to carpets, baseboards, cracks and crevices, and other areas where fleas may be present. 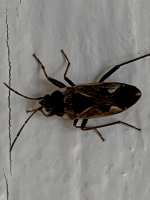 Good results can be achieved using products that contain a contact insecticide along with an insect growth regulator applied according to directions in all rooms in the home.. Spray treatment should be performed by a professional pest control operator. Because they guarantee their work it will likely cost less than attempting to do it yourself and having to repeat the process. 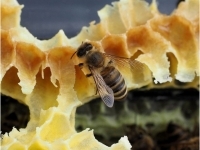 A well trained professional will use the least amount of pesticide to give effective control. 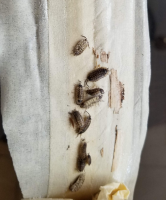 Flea traps using light bulbs and sticky paper do capture some fleas but they are not an effective solution to eliminate an infestation. Fleas are a universal pest, affecting all warm-blooded vertebrates from bats and birds to the family cat and rabbit. They can be hard to control and even harder to kill, but knowing some interesting facts about their life-cycle can make eradicating a flea infestation a little bit easier! There are at least 2000 known flea species around the world. 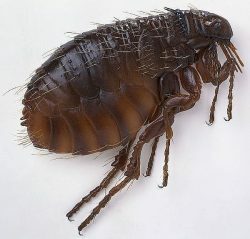 By far the most common species affecting domestic animals, both cats and dogs, is the cat flea, Ctenocephalides felis. Most fleas are very small, measuring only about 1/16″ to 1/8″ (1.5 to 3.3 mm), but living on mountain beavers in the United States is a monster flea. Hystrichopsylla schefferi has been recorded to reach lengths of 1/2″ (12 mm)! Fleas have a darkly colored, hard body that is laterally flattened (squished from side to side). This body shape helps the flea to move between the hairs or feather on its host’s body. Fleas are commonly the cause of superficial skin irritations and dermatitis. They cause a condition called flea allergy dermatitis (FAD) which can lead to red, inflamed, very itchy patches. They can also be vectors for more serious diseases and parasites, including the bacteria that cause typhus and bubonic plague, as well as tapeworms. Fleas have 4 stages in their life cycle: egg, larva, pupa and adult. The larger female flea must have a good blood meal before she is able to lay anywhere from 40 to 50 eggs a day! 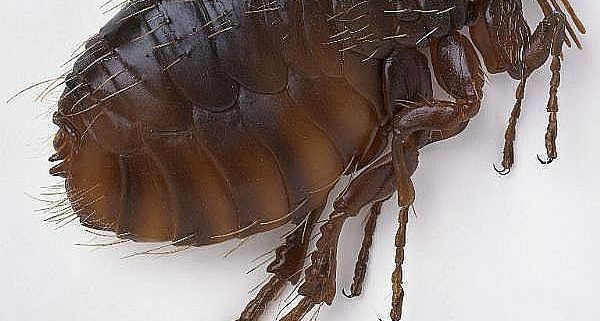 Although flea eggs are laid in the fur or hair of a host animal, they are designed to roll out easily and continue to develop in the environment. 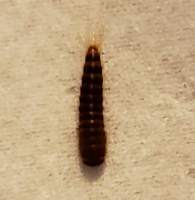 Larvae hatch out in the environment, carpets and baseboards of family homes. Although they are completely blind, they are considered to be negatively phototaxic, meaning that they can sense light, and that they avoid it. They crawl down into cracks and crevices and search for food. Flea larvae feed primarily on dried blood in adult flea feces, as well as shed skin, fur and feathers. Once the flea has reached the pupa stage it can remain dormant for several months until the conditions are right for the adult flea to emerge. Pressure, vibrations, presence of carbon dioxide, correct temperature and humidity are all indicators that a suitable host may be nearby and the adult flea can emerge. 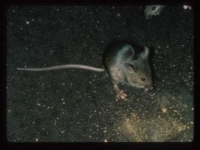 Adult fleas can only survive a short time without a suitable host to feed on. The multiple stages of a flea�s life cycle can make them very difficult to kill. Short-term treatment, or only treating the adult fleas on the host animal will not successfully eradicate the flea population. Adults only make up a very small part of the population, and the majority of the population is living as eggs and larvae. Any flea treatment needs to be comprehensive to tackle all life stages, and be ongoing for at least 6 months. This information about fleas was sponsored by Animal Lovers Forum, a free and family-safe pet forum supported by the professionals at Munster Animal Hospital. Memberships are free and enable you to create a profile, chat with other pet owners, browse discussions, read professional articles and upload pictures and user videos. Fleas aren’t just annoying. They can also spread disease. Here are some flea-related diseases and some tips for preventing fleas from spreading disease to you and your pet. Flea Allergy Dermatitis (FAD): FAD is an allergic reaction to flea bites which affects both animals and people. The flea allergy sufferer develops itchy bumps anywhere a flea has bitten. Often, the animal will scratch at the area until additional skin irritation and sores develop. These sores can become infected, leading to serious illness. Tapeworms: This parasitic worm lives in the intestines of its host, absorbing the animal’s nutrients and growing up to 20 inches in length. Fleas are necessary to transmit tapeworms from one host animal to another. Flea larvae eat the eggs of tapeworms accidentally. The immature tapeworm then lives in the flea’s body until the flea itself is eaten by a new host animal. The tapeworm is then released from the flea and infects the new animal. Typhus: Fleas can carry the typhus virus and spread it to humans. Symptoms include high fever, joint and muscle pain, headache and delirium. Many people are now vaccinated against typhus, but as many as 1400 unvaccinated people still die of typhus each year. Bubonic Plague: This deadly bacterial disease killed 75 million Europeans, 60 percent of the European population, in the 14th century. The bacteria was spread by fleas, which would carry the blood of an infected person and transmit it to healthy people as the flea went around biting. Today, antibiotics are effective in treating the Bubonic plague bacteria and very few people die from plague in modern times. You can protect yourself from flea-transmitted diseases by eliminating fleas at the source. Treat your pets and your home with flea killers that include a growth inhibitor. This prevents immature fleas from reaching maturity and reproducing. Clean pet areas frequently. Vacuuming will remove many fleas from your environment. Hot water washes of pet bedding and blankets will kill both adult and immature fleas. You can also create an at-home adult-flea trap by placing a lamp above a pan of soapy water overnight. This will get many adult fleas, but flea eggs, larvae and pupae may still be present. Many fleas enter your home as joyriders on your pet after he or she has been outside. Flea collars, powders, sprays or spot treatments can help make your pet a deadly ride for fleas. These kill the fleas quickly and prevent them from entering your home. Flea prevention measures will help defend against flea-related diseases. By taking these simple steps, you can eliminate fleas from your environment and keep yourself, your family and your pets healthy and happy. 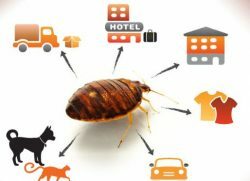 Additionally, a thorough plan for flea control should be planned with your local veterinarian while also considering the professional advice from your local pest exterminator. You can learn more about fleas and chat about pets by visiting http://www.AnimalLoversForum.com, a family-friendly and free pet forum where you can talk with other pet owners about a variety of animal topics on the discussion forums.